UNDER CONSTRUCTION --Available Mid-July 2019. Barrington II Craftsman Condo (1102). Get Peace of Mind that comes w/ award-winning craftsmanship & energy efficiency found in a Veridian Home. 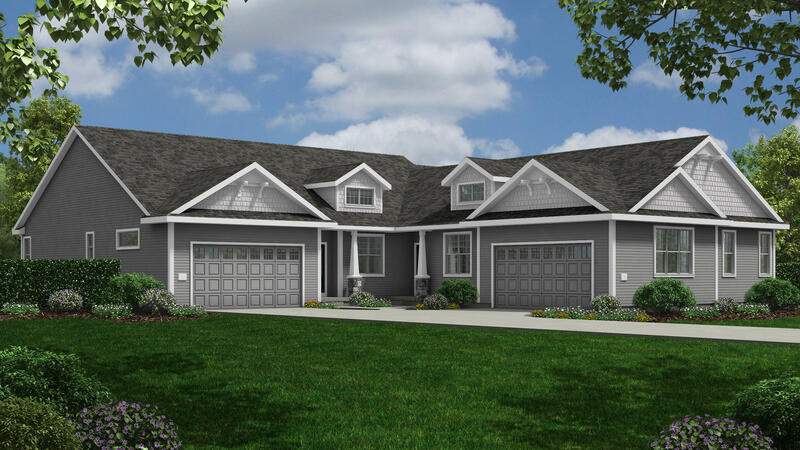 Loaded w/ custom features & best brands like Auburn Ridge cabinetry & Kohler plumbing fixtures. 9' ceiling; split bedroom concept. LVT floors per plan; 5 panel white doors/trim; granite kitchen countertops w/ tile backsplash & granite top island; gas FP; $5,000 appliance allowance; Owner's Suite tray ceiling & WIC; Owner's Bath w/ dual vanity in quartz; main floor laundry/mudroom w/ cabinets & laundry sink; Smart Home wiring; partial exposure; 14' x 10' deck; comprehensive warraty. Looking to buy a home in Menomonee Falls in Waukesha County? View real estate information, including school districts, neighborhood info, and homes for sale.